Compact and convenient countertop appliances for baking, broiling, and toasting. Looking for a convenient 2-in-1 appliance that provides powerful functionality while freeing up valuable counter space, Proctor Silex® Toaster Ovens blend toaster and oven capabilities into compact appliances that take up little room and look great on the countertop. 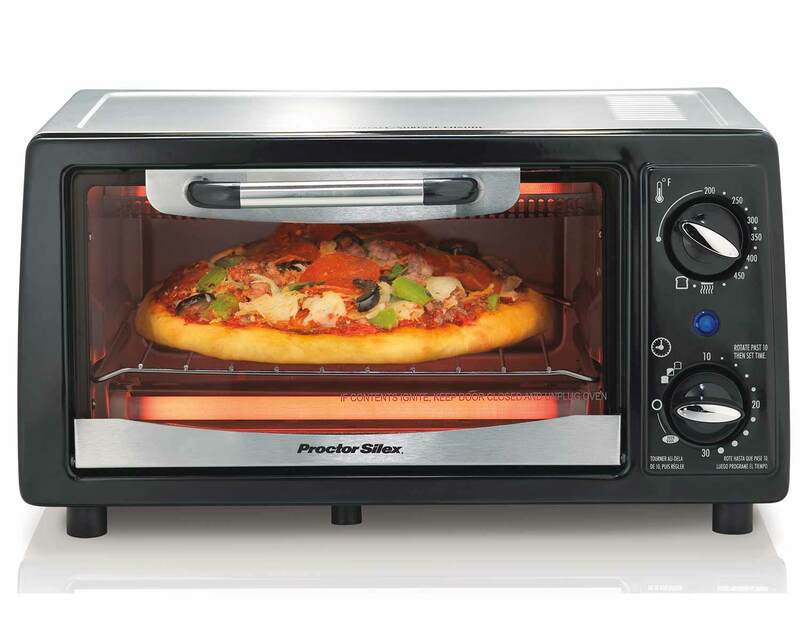 Whether you're baking pizza, toasting bagels, or broiling burgers, Proctor Silex® Toaster Ovens are ideal additions to your family's busy kitchen. Convenient features such as crumb trays and auto shutoff timers make cooking easy, and each model is tested in our lab before it ever reaches your home.